Under the Patronage of Mr. Maher Al-Hourani, the Chairman of Directors Board, in the Presence of President Prof. Sadeq Hamed and the honorable Munir Zawaideh, a member of the Parliament, Al-Ahliyya Amman University launched the Learning Platform " AppTrainers Lab. The application is the first to be used at the University level in Jordan and combines the practical and academic education providing the students with advanced scientific skills and high quality training to make students capable and efficient to enter the work market. 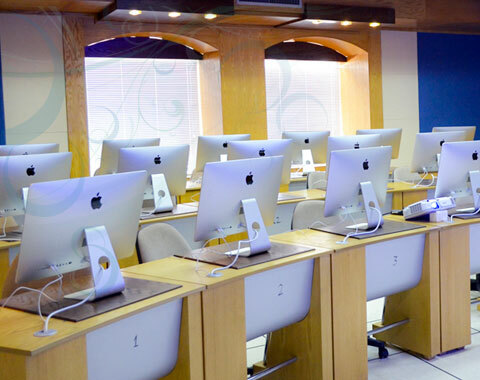 The lab, a fruit of cooperation between the University and AppTrainers.com Institution, has been founded to train students and enable them to highly develop and program the applications and games on mobile phones. Remarkably, the lab has been equipped with the recent apple mac devices. During the event, Mr. Hani Abu-Arab, the general manager of the institution, gave a presentation about the training courses to be provided by the institution. The event was attended by the IT Faculty Dean, Dr. Mu'ath Al-Hourani, the Head of IT and E-Learning Center, deans, and a number of the academic and administrative staff. The lab has been founded to train students and enable them to highly develop and program applications and games on mobile phones. Remarkably, the lab has been equipped with the recent apple mac devices, latest updates and required softwares AppTrainers.com is a specialized Mobile Application Consulting Company headquartered in Amman and established in 2012. At AppTrainers.com, our main objective is to enable entrepreneurs and startups to translate their business ideas into real smart applications through innovative hands-on education and implementation. We offer our solutions on the top operating systems and environments mainly: iphone, Android and BlackBerry platforms.